The head of the House Oversight and Government Reform Committee is threatening to hold Attorney General Eric Holder in contempt of Congress if he fails to comply with congressional subpoenas for documents. 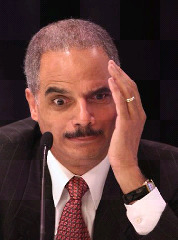 Holder has until Feb. 9 to comply. In a four-page letter to Holder, Committee Chairman Darrell Issa, R-Calif., claims the Department of Justice has “misrepresented facts and misled Congress,” which began its investigation of Operation Fast and Furious one year ago. Issa claims Holder’s “actions lead us to conclude that the department is actively engaged in a cover-up” because it refuses to comply with previous subpoenas.